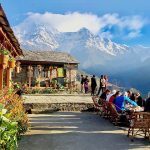 The Ghandruk Trek (or Ghandrung Trek) offers you a short trek in Nepal to the rural area at the high altitude where the cloud drifted, leaving a clear blue sky behind, where people and surrounding vista seem to roll into one. 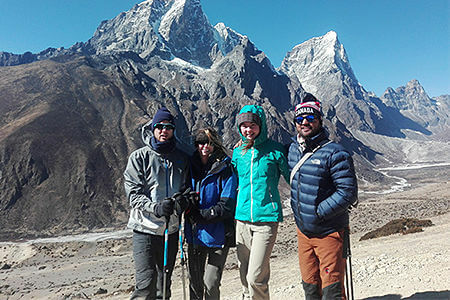 This trekking tour is a great option for those staying Nepal for a shorter time yet want to experience both trek and other activities in such a beautiful country. Indulge your soul in the stunning view of the Kathmandu Valley, the Himalayas, and the green terraced fields below while sitting on a comfortable seat. After completing all immigration procedures, our representative will be waiting to warmly welcome you and pick you up to your hotel. 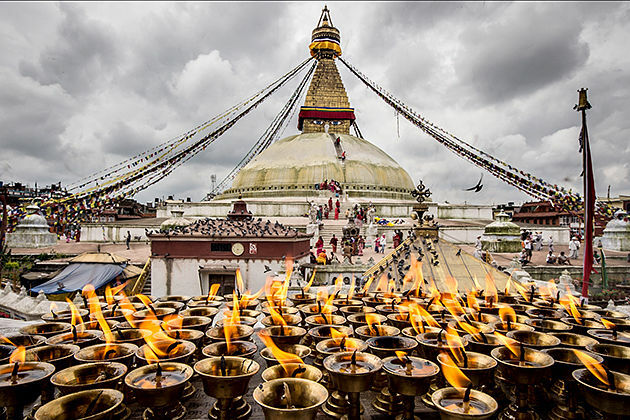 Once settling in, you then head out to visit the capital city – Kathmandu. 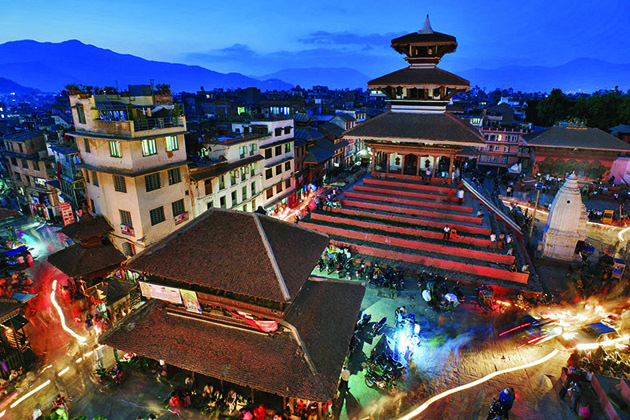 Later, in the evening, head to Thamel, the tourist hub where you can have the very first meal in an entirely new country with a variety of good restaurants offering both Western and local dishes. If you love the tranquillity and serenity, the early morning when the time slowly passes by, will be the thing that gives you this special atmosphere. All you need to do is getting up early and enjoy it. Then, having breakfast, and when the city begins hustle and bustle, ready to visit several incredible sites in Kathmandu in which seven of them are in the World Heritage’s List of UNESCO like Kathmandu Dubar Square, Bhaktapur Durbar Square, Patan Durbar Square, Swayambhunath Stupa, Boudhanath Stupa, Changu Naran Temple, Pashupatinath Temple, and Lumbini. Later, in the evening, it will be your choice whether you want to have dinner at one of the great eateries in the city or enjoy a home-cooked dinner with a local family. Having breakfast, then you are full of energy to begin your 3rd day in Nepal with a drive to the domestic airport to fly to Pokhara. 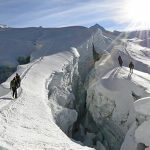 On arrival, there will be a jeep waiting for you to drive yo to Phedi where your 3-day trek towards Pothana will begin. 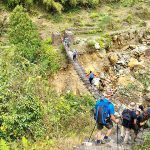 You will follow the trail ascending through the rhododendron, magnolia, oak, sandalwood, and pine until you reach the Dhampus, an authentic Gurung village that will definitely offer you an opportunity to witness the great view of the Annapurna ranges along with the Lamjung Himal peak and some others. 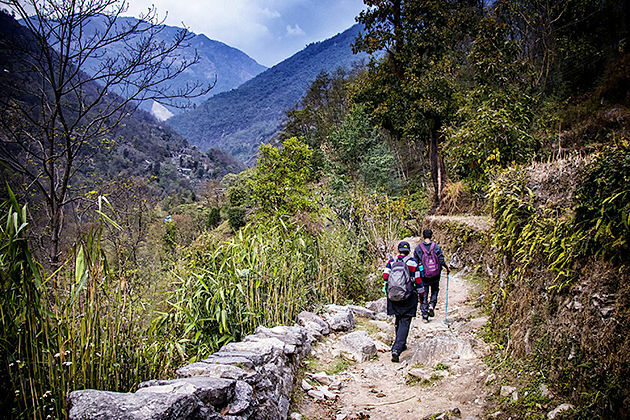 From the village, your journey continues with the trail ascends along a stone-paved path passing through forests and mossy trees. 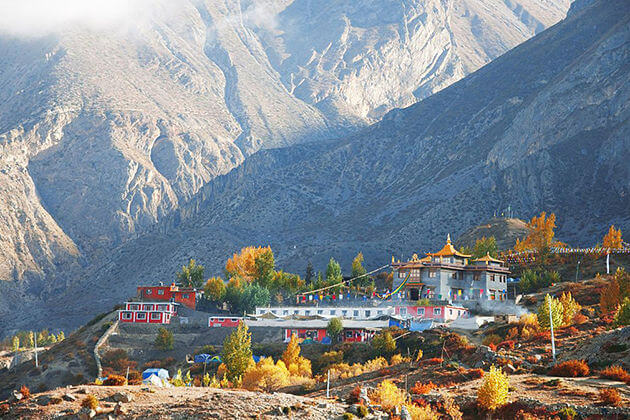 Once getting to the small village of Pothana, there will be a range of trekking facilities including shops, teahouse, and eateries, then all you need to do are relax and enjoy the breathtaking view of the mountain. 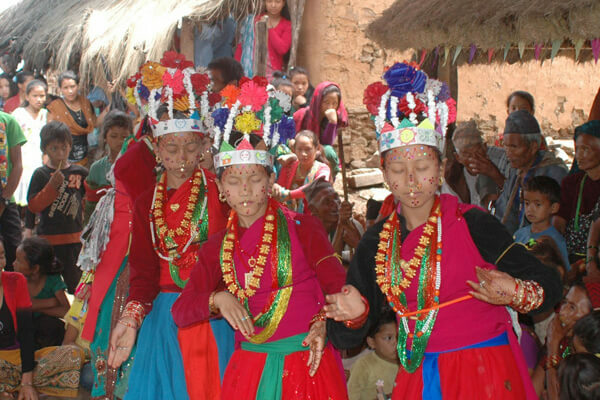 After that, set out the Deurali and trek downhill to reach Tolkha which is considered a beautiful ethnic Gurung village. 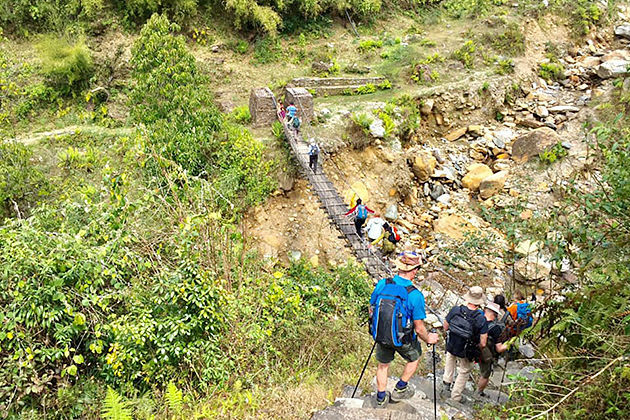 Rest for a while and high on the beauty of Tolkha, you then follow the gradually descending trail passing through terraces and few settlements to reach Landruk. 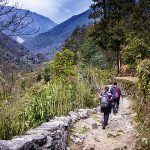 From this area, keep moving downwards to the Modi Khola river where you will cross an iron bridge that leads you to a steep uphill, and finally, you reach Ghandruk embracing in the spectacular vista of the Himalayas. 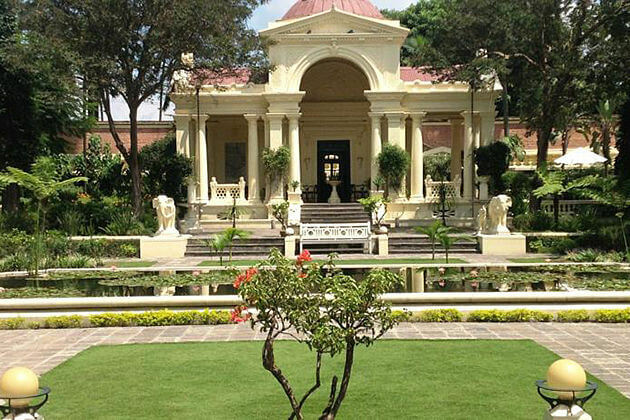 Now, it’s time for you to visit the Gurung museum where converges the history and the local’s lifestyle. Overnight at the trekker hub. 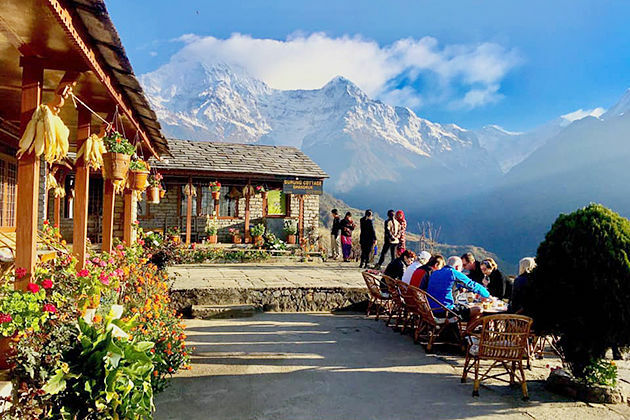 Let begin your final trekking day with a fulfilling breakfast in Ghandruk, then ready to pass through small villages and picturesque rice fields to reach Nayapul. 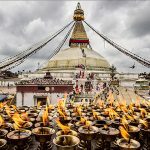 Once there, the private jeep will be waiting to pick you up and drive you back to Pokhara where you will catch a domestic flight back to Kathmandu. Back in Kathmandu, then the rest of the day will be yours as you can do what you want. 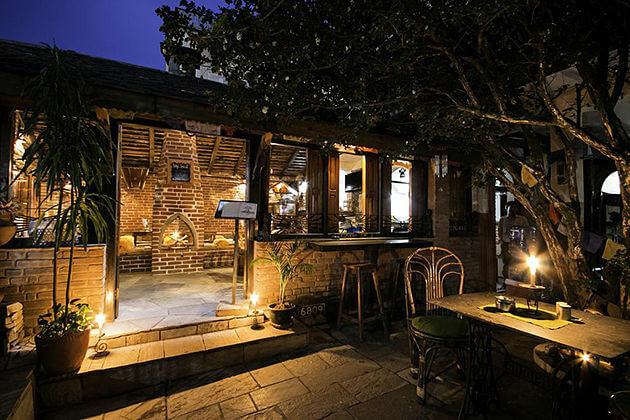 In the evening, there will be several options ranging from French, Vietnamese, or Middle Eastern dishes for you to choose for your last dinner in the dreaming country. Time to say goodbye Nepal. 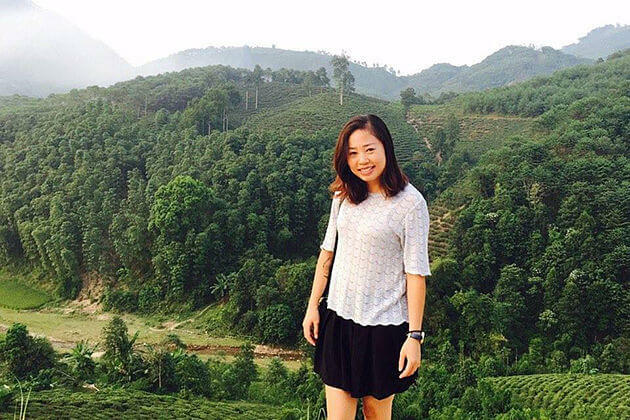 Enjoy your last time in the adorable country with a breakfast at a cafeteria, then you can stroll around the city, do some shopping, or just simply sit at the café to relax and look back the memorable moments that you experienced in such a beautiful country. Before 2 hours when you return flight launched, our representative will meet you at your hotel and pick you up to the international airport. The trip ends, hope we can have more beautiful moments with you next time in Nepal.